First off, congratulations and all the best for your special day! Your engagement rings, the centrepiece of the engagement ceremony, can bring a lot of stress. You probably have a lot of questions regarding them, and — don’t worry — we’ve got all the answers. Here’s our engagement ring buying guide that also helps you choose the perfect engagement ring for your better half. You’ve got plenty of options to choose from. You could buy a diamond ring, a gold ring. Today, even a few gemstones ring according to zodiac sign are in fashion. Should you first decide on the type of stone you and your spouse would like? Not really. There are different designs out at any point in time, and the best ones may not always be in the stone of your choice. Therefore, you should first decide on the type of design you’re interested in. For example, if you’re interested in a simple wedding ring, a gold band is most likely what you want. If you’re looking for something more than a band, you should start looking online for designs. This will give you an idea of what’s available. So when you actually head out looking for your wedding ring, you already have a good idea of what you want. You could simply go along with your spouse to buy both rings together. You would then be able to get engagement and wedding rings that the both of you agree on. Particularly if you plan on wearing both rings all day and night, you may want to consider this, for not all rings go with each other. For example, if the engagement ring is interlocking and the wedding band isn’t, it might be an odd combination. If you plan only on wearing a wedding band, you may want something that’s not as plain as a regular wedding band. Jewellers do not price their rings all the same. The variance depends on a number of factors — design in particular. For this reason, you may need time to find the right ring at the right price. Instead of waiting for the last moment, get out and start looking as soon as possible. You could do some initial research online (as you seem to be doing already), and then head out to stores (which are usually situated on the same strip). You can go through the collections one by one, and inquire prices. Then, go back a few days later to the ones that you liked most and ask yourself if you feel the same way. If one of them keeps growing on you, you know you’ve found the right one. Also, do note that customisations can take a while — another reason to begin shopping early. Your friends and family may tell you that you and your partner should have the same type of ring, in the same style. Well, nothing can be further than the truth. 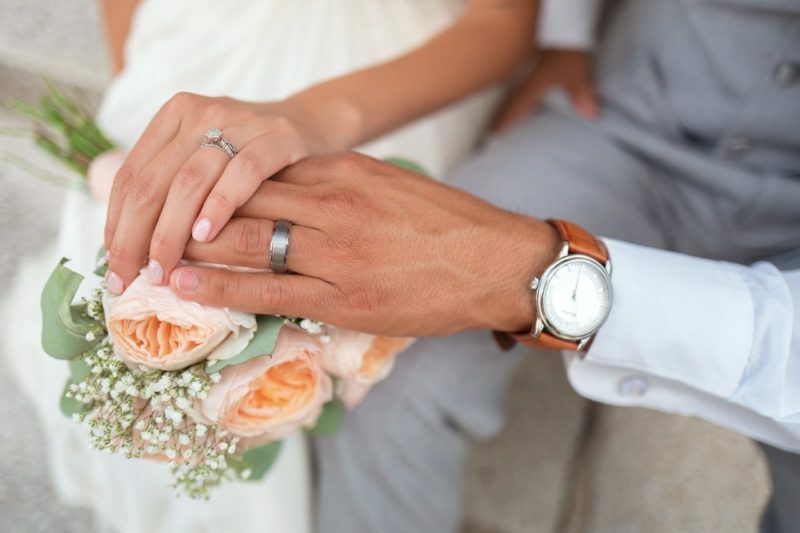 You can — and should — buy any type of wedding band you want, even if your partner wants a diamond ring and you want gold. After all, it’s opposites who are attracted to each other, aren’t they? As we’ve mentioned before, the pricing of engagement rings can seem arbitrary. A similar looking 18-carat gold ring can change in price by even 100 to 200 per cent, depending on the jeweller you’re shopping at. Typically, you should spend around 5 per cent of your wedding budget on the engagement ring. Also, keep in mind that engravings or any other personalisations on your engagement ring will cost extra. Your engagement ring is going to be with you for life. So don’t just go by how nice it looks. Is it something that you would wear with everything? When you’re at work, at the gym, going partying, on holiday, etc. Always think of all the things you do in the day and consider whether the ring would make any of these things difficult to do. For example, if you’re always on the run, you may want to consider a platinum ring for its durability. So while the latest trends are always good to look at, remember that this ring is something that is more about you and your partner. Trends may come and go every six months, but the ring will stay with you for life. Certification is very important when it comes to jewellery. You need to ensure that the jeweller stands by the product. Or else, it could be some diluted version of the precious metal you think you’re buying. Always insist on a quality certificate before you make your purchase. 8. Have You Thought Of Maintenance? Some rings require more care than others. 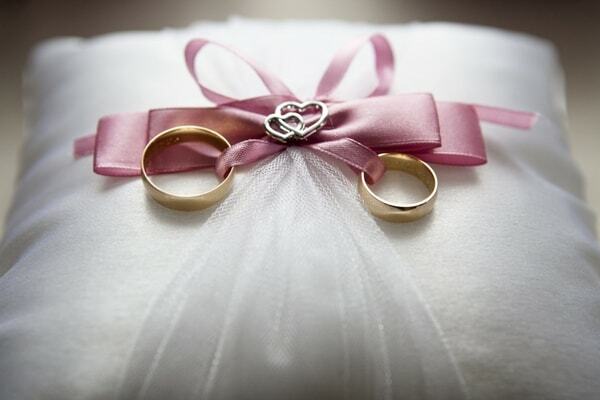 For example, gold or platinum rings are pretty durable, so you may only need to wipe it with a soft cloth. On the other hand, gemstones require greater upkeep. You may need to go at it with a toothbrush on a regular basis. You will also need to dry it in a lint-free cloth. If this is not your type of deal, just go with the gold or platinum. If you are planning to surprise him/her with the engagement ring than make sure of correct ring size to prevent the last-minute mess. Also, remember over the next several decades, your fingers will take many different shapes. In fact, even in different seasons, the size of your fingers may change. How do you ensure that your ring always fits? Well, you can’t, of course. A bit of weight gain and you may need to resize it. What you can do, however, is only do ring fitting when you’re at ease and your internal temperature is just right. Once more, we would like to congratulate you on your wedding and hope it’s just the special occasion you’ve planned. Do remember that buying an engagement ring is a big deal. Don’t forget to ask the advice of friends and family at this time. And if you’ve still got questions, do let us know in the comments section. I find it helpful when you said that a person should buy their engagement rings early in order to look for the best design that would fit one’s budget. In my opinion, one can avoid this by asking a local jeweler before investing in one. Doing this will help a person please their partner with their choice, thus making the proposal more memorable.